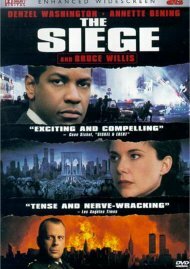 "Chilling, riveting" (ABC Radio Network) and "terrifyingly real" (Jeanne Wolf's Hollywood), The Siege has never been more explosive than on Blu-ray! 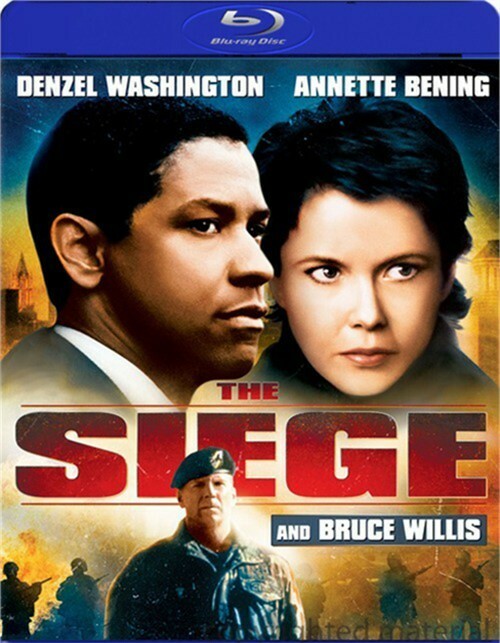 Starring two-time Oscar winner Denzel Washington, three-time Oscar Nominee Annette Bening and Golden Globe winner Bruce Willis, this "tense and nerve-wracking" (Los Angeles Times) thriller redefines the genre! 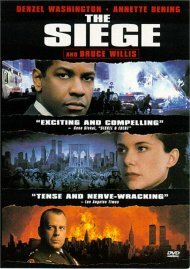 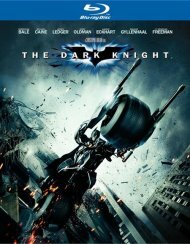 Eerily prescient of the 9/11 attacks and their aftermath, The Siege - filmed more than three years before the attacks - tells a fictional story of terrorists who set off a series of bombs in and around New York City. 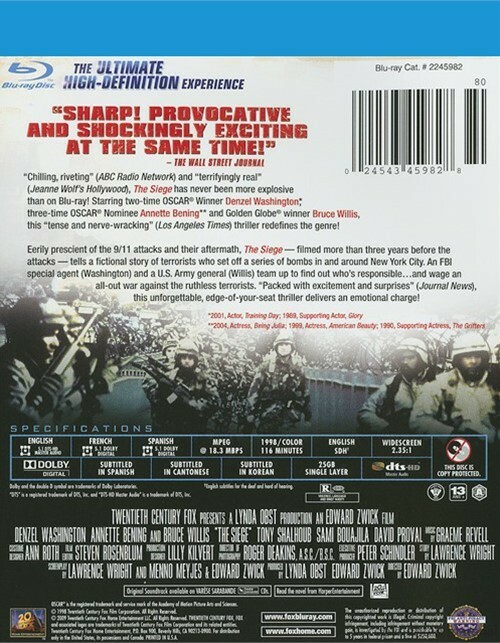 An FBI special agent (Washington) and a U.S. Army general (Willis) team up to find out who responsible....and wage an all-out war against the ruthless terrorists. 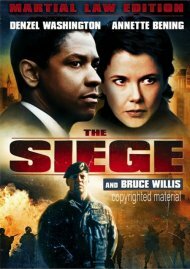 "Packed with excitement and surprises" (Journal News), this unforgettable, edge-of-your-seat thriller delivers an emotional charge!